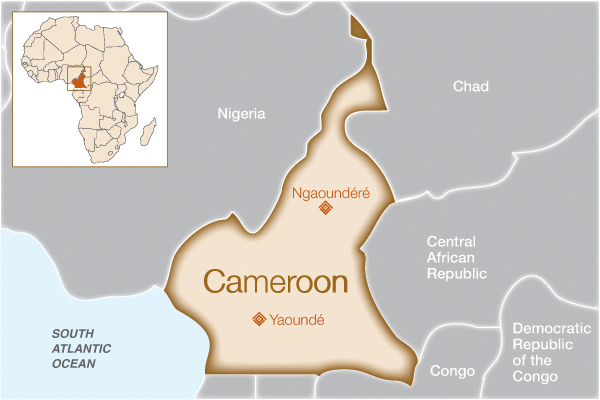 Why Do We Work in Cameroon? Situated along the Gulf of Guinea, Cameroon has one of the world’s highest maternal mortality rates — about 690 deaths per 100,000 live births. This is partly due to the overburdened and understaffed health care system in the country, but is also a product of the high incidence of teenage mothers. Only about half of the population has access to electricity and many people live in rural areas far from the nearest medical center. With an acute shortage of trained fistula surgeons and equipped operating theaters, Cameroon faces major challenges to providing adequate fistula repair services. We provided grant support to University Teaching Hospital through Woman and Health Alliance International (WAHA). We provide grant support to Islamic Hospital of Ngaoundéré through Dr. Franklin Danki. How will this help women in Cameroon? The University Teaching Hospital in Yaoundé is one of the country’s few fistula care centers. This project was the result of a 2-year study conducted to assess the need for fistula treatment in Cameroon. The study revealed that over half of all fistula patients treated had lived with the condition for five or more years before receiving treatment. This reflected a severe lack of public awareness about fistula and the availability of repair services in the country. With funding from Fistula Foundation, the hospital’s fistula operating theater was renovated, additional surgeons and nurses were trained, and 300 women received free fistula repair surgeries. With the boost in capacity and infrastructure, the hospital is now able to provide higher quality fistula services to the women of Cameroon on a routine basis. Dr. Danki Sillong is the only trained urologist and fistula surgeon in northern Cameroon, which boasts a population of close to 9,000,000. This project aims to help Dr. Danki establish routine fistula services in Ngaoundéré at Islamic Hospital. Funding will help support the costs of treatment for 90 women initially as well as basic training for hospital staff.